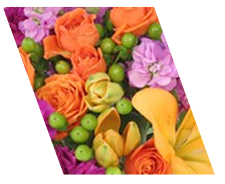 This colorful flower arrangement from Addie Jane Originals is a great choice for Halloween and Harvest decorating themes. Seasonal accents like miniature pumpkins give it a special touch of fall festivity! This Bloomin' Jack-o-Lantern from Addie Jane Originals is a great choice for Halloween and Harvest decorating themes. 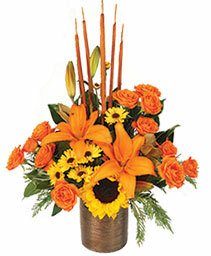 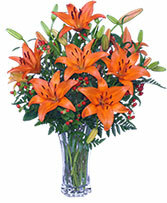 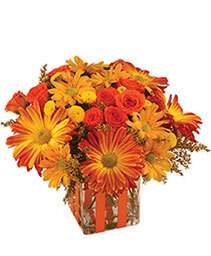 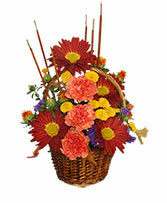 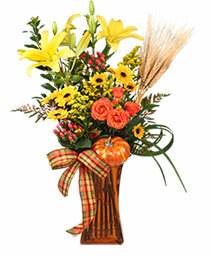 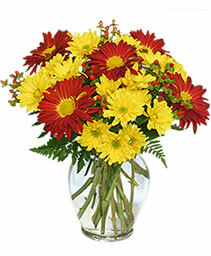 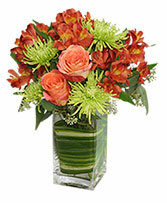 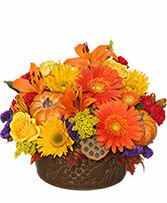 Arranged in a whimsical terra cotta pot, this flower arrangement beautifully captures the essence of fall! 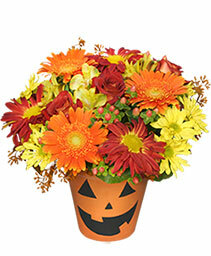 October Offerings from Addie Jane Originals is a great choice for Halloween and Harvest decorating themes. 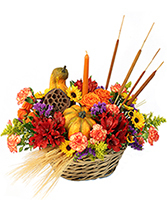 Accented with dried wheat, mini pumpkin and seasonal ribbon, this flower arrangement beautifully captures the essence of fall!